Photo: Eureka Sand Dunes, California. Photo by R. Rust. Eastern Mojave Vegetation Eureka Sand Dunes, California. Photo by R. Rust. 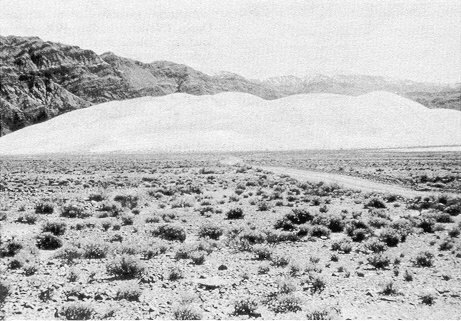 This photograph was published in the Trexler and Melhorn (1986) article. Singing and Booming Sand Dunes of California and Nevada: Eureka Dunes, California.